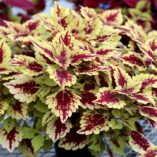 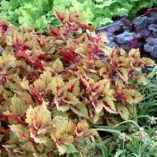 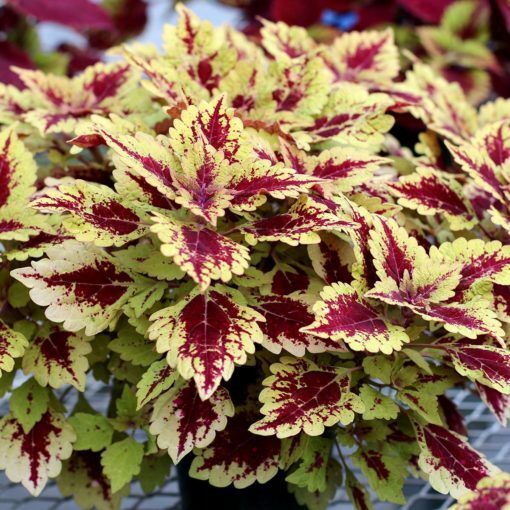 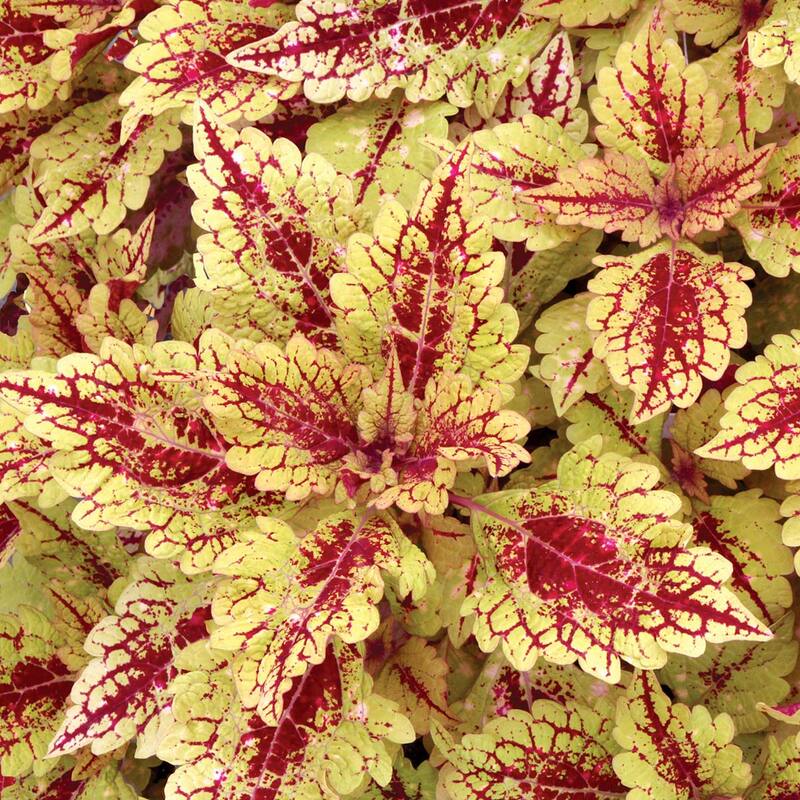 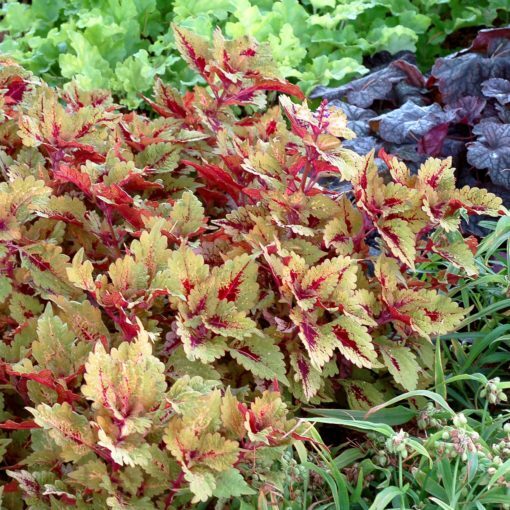 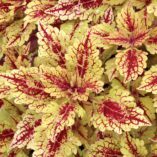 Coleus COLOR CLOUDS™ ‘Honey Pie’ | TERRA NOVA® Nurseries, Inc.
Medium-large, honey-amber foliage is red-veined and peppered with cherry red splashes and occasionally dotted with pink and white splashes. 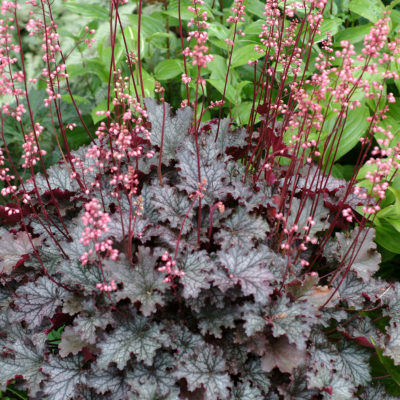 Short internodes and great branching keep this one compact. 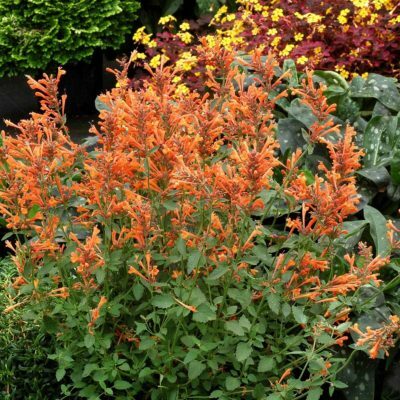 This results in a graceful and full habit. 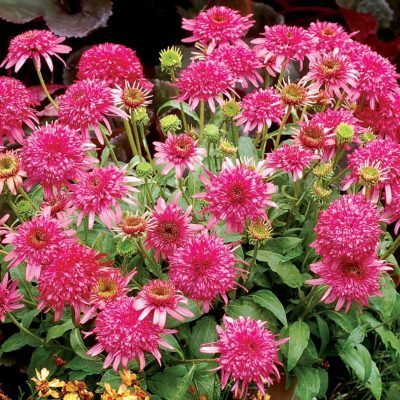 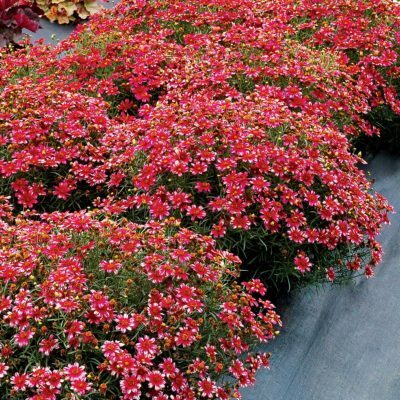 'Honey Pie' is dramatic alone and elegant in a mixed container. 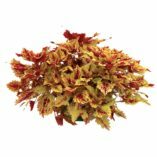 Forms a large, full basket quickly for fast sales. The COLOR CLOUDS™ are self-branching, slow to flower, and trailing with broad leaves. 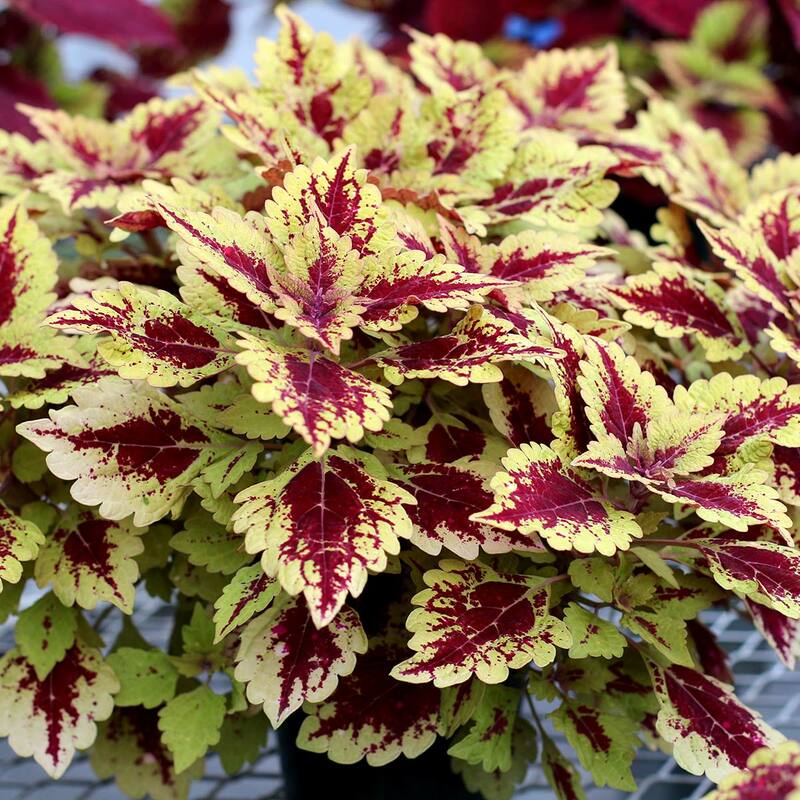 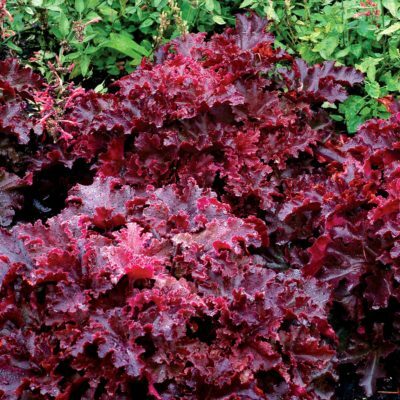 'Honey Pie' has honey colored leaves suffused with magenta.